The Town Council has recently passed a new Ordinance that allows the Tax Collector to waive one quarter’s worth of interest on one overdue property tax payment, if certain conditions are met. Tax Payment Interest Waiver Ordinance (Chapter 19, Taxation, Article I, Section 19-2) and the Waiver Request Application Form. You can sign up for electronic payment options through your bank account. Fill out the form below and mail it to the Tax Collector’s office at the above mailing address. You can now pay your taxes online with your Visa or Master Card. Access this service at www.riegov.com and enter your account # and pin # found on your tax bill. The ten calendar-day grace period will end on the 18th of each quarter. 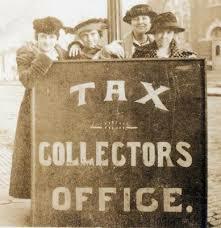 Please contact the Tax Collector’s Office, if there are any questions.